Most people watch Netflix on their big-screen televisions whether that be through a games console or through a stick or smart TV. There’s still a lot of people who watch on their computers specifically through Google Chrome. 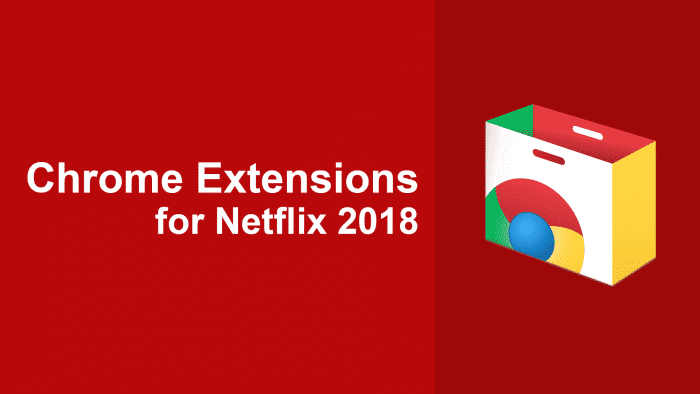 On chrome, you’re able to amplify your Netflix viewing extensions with many extensions which alter and change Netflix to perform extra features. We’ve now tested tens of the various extensions currently available and we’ve picked out the essential ones you should have installed below. In terms of just the amount of new functionality, Super Netflix is a great package. The immediate thing you’ll notice once you install the extension is that it adds a toolbar to the top of the screen. This allows you to import subtitles, change the playback speed, change video and audio bitrate, adjust the brightness and skip in defined intervals. Other features, which you have to turn on via the settings panel include blurring the synopsis on future episodes preventing spoilers. Overall, this is a nice extension with lots of tiny tweaks to Netflix which enhances your viewing. The biggest feature though is undoubtedly the subtitles import which will be a saviour to those whose language isn’t prioritized by Netflix. Netflix Party has a simple premise, watch your favourite Netflix programmes with your friends. The installation is quick and simple and all you need to do is share a link with your friends and you’re good to go. Its simple implementation comes with drawbacks, however. For one, you’ll notice the application only has three stars with many users complaining about the reliability of the extension. This is not something we had problems with while testing but it’s clearly not an isolated incident. Customization is a big problem too with you having to rely on strange avatars to recognize who each person you’re chatting to is. With that said, we’d recommend using Netflix Party to sync your viewing and then use a program like Skype to chat. 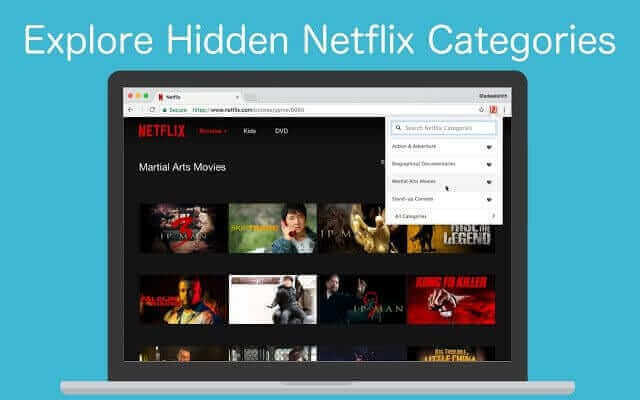 While its list is by no means complete, Netflix categories allows you to quickly navigate some of the more obvious categories you may want to use while looking for your next watch on Netflix. You’re able to ‘heart’ your favourite categories from the main list allowing you to easily navigate back at a later date. It’s a simple extension but extremely effective. The full list consists of over 30,000 categories and we’d recommend viewing our resource for the full list. Although this application has a bit of a lengthy setup having to register an account and even sync your Netflix history for a full experience, the payoff is worth it though. When you hover over cards of titles, it’ll reveal the IMDb score, TV rank and one of the best features, the drop-off rate. One of the best things this extension does is connect to a larger database which tracks all of the TV you’ve watched across multiple streaming services. This is a great way to track what you’ve watched on each platform. It also has some nice additional features too including a randomizer and a list of Netflix categories (the full list is behind a paywall). 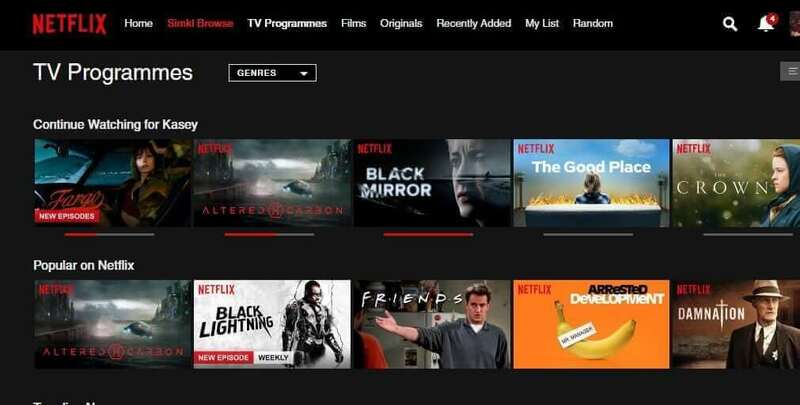 A simple fix which automatically clicks the skip intro button when title credits appear on Netflix. Is it lazy? Absolutely. Beyond that, we really can’t add too much more to this little blurb as it just simply works. Beyond those, there’s a lot of duplicates on the Chrome store and there’s also a lot of spam or extensions that no longer work. 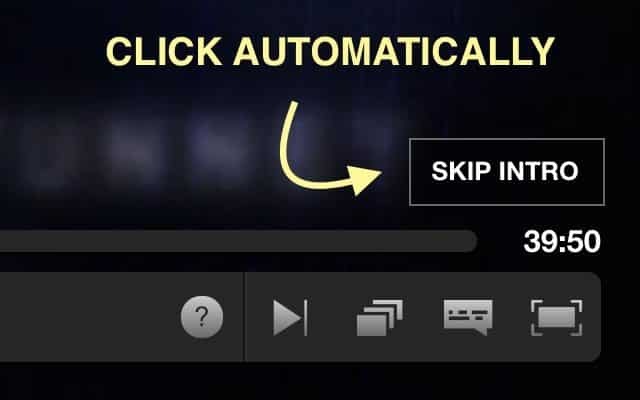 The worst extension we found inserted advertisements on Netflix. The cheek. Did we miss a Chrome extension? Let us know in the comments.